Annie Ting is a little girl who looks different from the people around her. She goes on a big adventure and discovers that kindness, empathy and love can be found in the most unexpected of places. 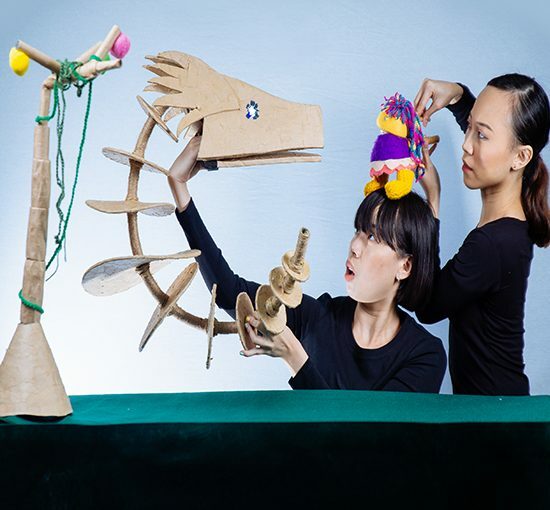 This interactive puppet theatre performance has been created for children aged between two and four years of age. The show runs approximately 40 mins and features a live musician and two puppeteers. Tiny Feat is an independent collective of individuals from different backgrounds. Helmed by Serene Tan or Stan as she is commonly known, Tiny Feat creates Lo-fi environments and experiences for children growing up in today’s high tech world. Our focus is on learning and playing through imagination and creativity in the sandbox. Annie Ting and the Dragon is presented by Tiny Feat and supported by The Artground.